Is he the only reason the Bulls are losing? 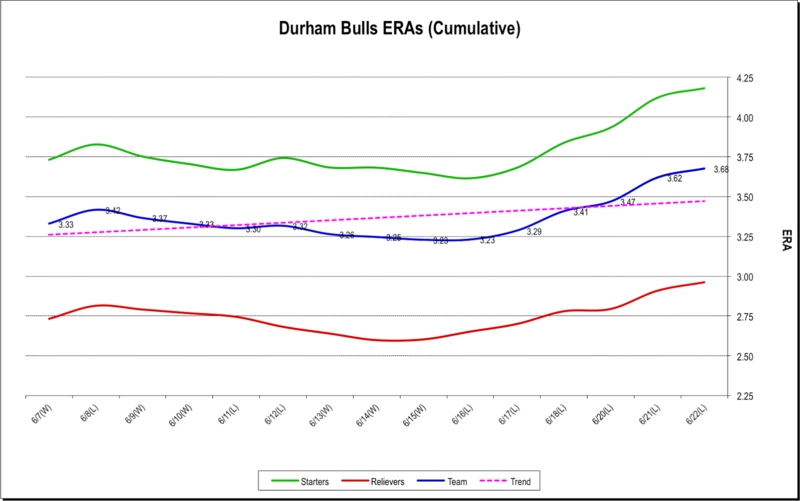 Well, it’s true that in the two games before mid-season the Bulls scored 21 runs. In the six games since mid-season, they have only scored 19 runs. Yesterday they didn’t score any. And he isn’t the only pitcher doing poorly. In that same six game stretch, Hellickson is only responsible for 8 runs. The other 50 (50!) are on other players, including the guys who committed 6 errors in those games.